General Dynamics Ordnance and tactical Systems promoted both lethal and less than lethal means for force protection. 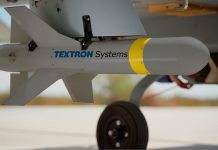 The company is offering a 66mm grenade system with a range of less than lethal munitions firing smoke countermeasures and multi-spectral obscuration, and counter-personnel non-lethal effects. The grenades are used for detection avoidance, acquisition avoidance and hit avoidance against directed and guided weapons. Used as counter-personnel non-lethal effects, these grenades can be fired from increased standoff with placement accuracy for controlling or dispersing crowds and denies or secures certain risk areas. 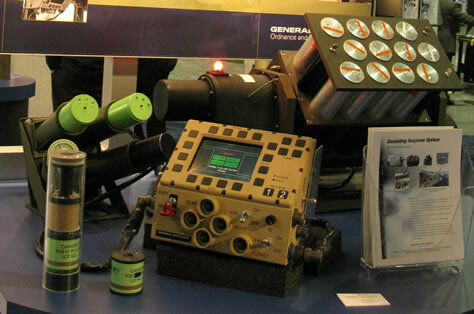 Taser introduced the Shockwave – a command-activated area denial system. The baseline Shockwave unit is a command activated, 6-shot device that covers a 20-degree arc with 25ft XP TASER electronic control device (ECD) cartridges. When activated, Shockwave units saturate the defended area with the Taser devices which incapacitate personnel with reversible, non-lethal effects of the Taser Neuro Muscular Incapacitation (NMI). 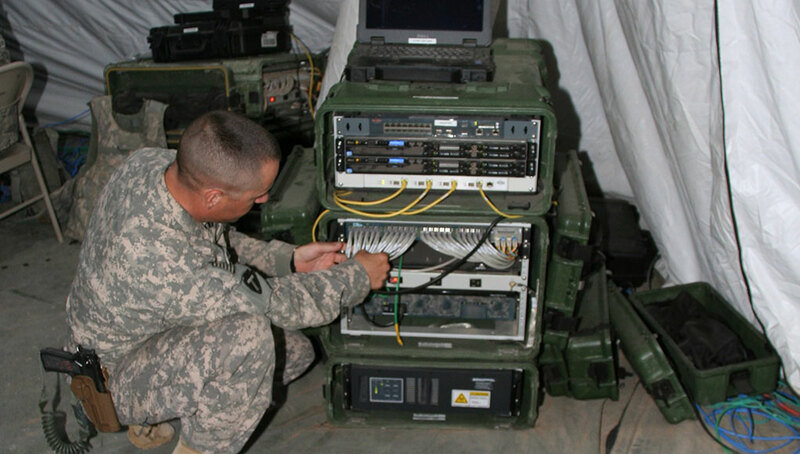 When deployed in a stacked configuration, each activation of the fire control button commands the array to sequentially fire rows of TASER cartridges via a smart addressing system . As a protective measure when waves of target sets are encountered, additional 5-second exposures are administered to already expended rows with each firing. Shockwave deployment keeps previously targeted personnel down and incapacitated while subsequent target sets are engaged – a truly scalable defense in depth capability. Multiple Shockwave units can be stacked or ‘daisy-chained ‘ to form longer or wider barriers, or allow for more than one salvo to be fired, as required by the mission. Taser Internaional is planning to release the Shockwave for pilot evaluations in the summer of 2008. Among the lethal types of ammunition GD-OTS developed for the 40mm weapon family is the M1001 High Velocity Canister Cartridge (HVCC). This grenade is loaded with 113 flechettes darts (2″ long), which are dispersed after the cartridge is fired, producing a close pattern densely covering an area 100 x133 cm, at a distance of 50 meters, or about 5×5 meter at a distance of 100 meters. The HVCC is designed for use with the MK19 Grenade Machine Gun. 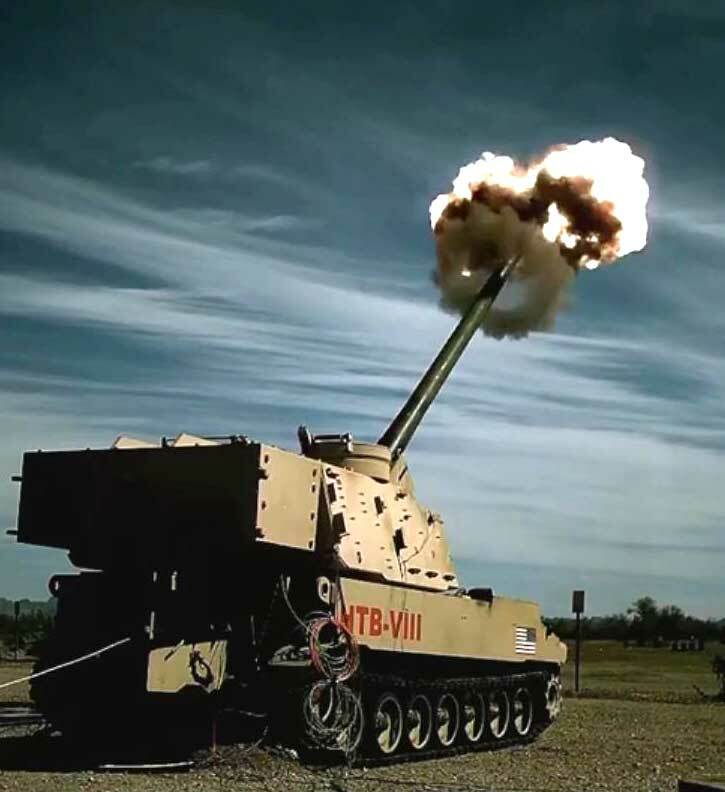 It is highly effective even against protected personnel (such as soldiers wearing body armor), the M1001 can be fired from stand-off range or from close range. Advanced warheads are one of the domains mastered by General Dynamics Ordnance and Tactical Systems (GDOTS). At AUSA Winter 2008 the company unveiled the K-Charge a patented multipurpose shaped charge warhead. The K-Charge design is scalable from shoulder fired weapons to fixed and portable land-based delivery systems, to air delivered systems from aircraft and helicopters. The compact design packs the same lethal effect of comparable diameter, heavier and larger warheads. The patented design uses multiple detonation points, either peripheral or central detonation point to shape the size and effect of the penetrator. 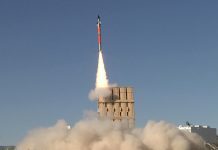 K-Charge is currently used with the Javelin missile, and Enhanced Fiber-Optic-Guided missile and is being integrated with the Precision Attack Missile and Mid-Range Munition (MRM). 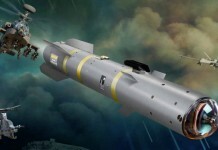 Another missile looming on the horizon is the Joint Air-to-Ground Missile (JAGM), building on key technologies developed for the Joint Common Missile (JCM) program cancelled by the U.S. Army few years ago. JAGM will have a range exceeding 20 km, more than doubling the current Hellfire range. This missile will carry an integral internet protocol (IP) based data radio, providing access to ‘targeting during fly’, from multiple sources. The missile will utilize a the tri- mode seeker, matured with the JCM program. 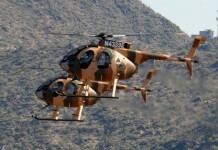 This seeker will provide precision targeting capability with fire-and-forget technology against moving or stationary targets in smoke, dust or poor weather. Its warhead will be designed as a common, multi-purpose warhead, effective against a wide target set including armored threats, maneuvering boats, bunkers and other targets including use in urban warfare scenarios. Another ‘Hellfire extender’ is the P44/P42 offered by Lockheed Martin. This missile was developed internally funded by its own resources. This missile will enable ground forces to extend the effect currently generated by the Hellfire II missile over a range of more than 70 km. These missile can be deployed and fire from an MLRS or HIMARS rocket carrier. With P44/42, an MLRS unit will be able to score a direct hit at a moving target traveling at a distance of 40 km within 2.9 minutes.